Iron deficiency anemia (meaning low hemoglobin in addition to low ferritin) occurs in less than half of those who have low ferritin. Among endurance athletes, iron deficiency and iron deficiency anemia are far more prevalent. A 1989 study in the Journal of Pediatrics found that 34% of female and 8% of male high school cross country runners had serum ferritin levels below 12 ng/mL.2 Another study in the Journal of Adolescent Health Care found similar results. In a sample of high school cross country runners, about 3% of boys and 40% of girls were iron deficient at the beginning of the season.3 This study went a step further and followed the same sample of runners throughout the fall. By the end of the season, the prevalence of iron deficiency had increased to 17% of boys and 45% of girls. Even among those who were not classified as iron deficient, the majority had a decrease in their serum ferritin levels. Data from swimmers provides some interesting contrasts. Thomas Rowland and John Kelleher at Baystate Medical Center's Department of Pediatrics report a similarly high incidence of iron deficiency in female swimmers—47%—but a complete absence of low iron in male swimmers. Further, swim training does not seem to deplete iron levels like run training does.5 Rowland and Kelleher found no decrease in ferritin as the season progressed, unlike what happens with cross country runners. The data from the above scientific studies suggests three primary reasons for why female runners are at increased risk for iron deficiency. Second, the menstrual cycle induces a substantial loss of blood. This increases the body's demand for iron, since it must manufacture new red blood cells to replace the ones it loses. Third, running training induces an additional loss of iron. This happens primarily through gastrointestinal blood loss. A very clever 1996 study by researchers in Germany used radiolabeled iron to estimate the body's iron turnover during periods of rest, intensive training, and intensive racing among high-level distance runners.6 They found that periods of intensive training or racing were associated with a three to six-fold increase in gastrointestinal blood loss. 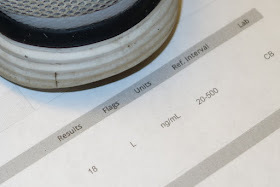 No trace of iron was found in the sweat or urine of the volunteers, indicating that blood loss from minor bleeding in the gastrointestinal tract is the prime cause of high iron turnover in runners (in addition to menstruation in females). The high baseline level of iron deficiency in women and girls, coupled with the iron losses associated with menstruation and running training, results in a prevalence of iron deficiency in women that approaches 50%. And this is using the fairly conservative standards for ferritin levels used in the general population. As we're about to see, there is good evidence that distance runners can suffer from impaired performance even at iron levels at the low end of the "normal" reference range. The only way to determine if low iron is the cause of a runner's troubles is to get a blood test. You will need to request two separate tests: A "CBC," which stands for complete blood count, and a serum ferritin test. Complete blood counts include an entire panel of tests, but the one you are interested in is your hemoglobin level. Hemoglobin is reported in grams per deciliter (g/dL), or sometimes grams per liter (g/L), which is just g/dL multiplied by ten. A ferritin test requires a separate blood draw; the value you are interested in here is your serum ferritin level, which is typically reported in nanograms per milliliter, or ng/mL. You may also see it reported as micrograms per deciliter, or µg/dL—these units are equivalent. When your doctor calls to report your test results, make sure you ask for the specific number and units for both hemoglobin and serum ferritin. Most medical labs now provide patients with the data from their blood tests (indeed, you are entitled to it because it is part of your medical record), so this is less of a concern than it used to be, but some runners have had issues with doctors who simply report that their values are "normal" or "a little low" without any context. You need to know the number to figure out the level of iron deficiency you are dealing with. Another option is direct-to-consumer lab testing. If your insurance will not cover a lab test, or you have trouble convincing your doctor to order one, or if you simply don't want to bother with an office visit, you can pay for a lab test through so-called "direct access" labs. These tend to be far less expensive than going through a doctor if you are paying out-of-pocket. Unfortunately, because of legal restrictions, direct access lab testing is currently unavailable in New York, New Jersey, Rhode Island, and Maryland. Residents of those states will have to see their doctor or go out-of-state. There's a plethora of independent labs that offer consumers blood draws for relatively little expense. Amid concerns about the accuracy of independent labs, it can be tricky to figure out what labs you can trust. PersonaLabs contracts directly with Quest Diagnostics and LabCorp, the two largest clinical lab testing providers in the United States. These two lab groups mostly conduct and process tests that are ordered by physicians, so you'll be getting the exact same standards of quality that you'd get through going to the doctor. I looked into a lot of different direct access labs, but PersonaLabs' professionalism and high quality reports stood out to me. I made a few customer service calls to PersonaLabs and to some of its competitors, and was impressed by PersonaLabs (and put off by a few others). This brings us to an important point: many runners will fret after seeing their hemoglobin levels close to or slightly below this normal range, even when their ferritin is normal. However, these fears are misplaced: in most cases, this "anemia" is an illusion. Endurance training can increase your blood plasma volume by up to 20%.7 If the number of red blood cells stays exactly the same, it's easy to see how such an increase would cause the illusion of anemia, because hemoglobin is measured terms of concentration. This situation is termed dilutional pseudoanemia. On account of this, it's wise to lower the bottom end of the normal range of hemoglobin in runners by about 1 g/dL, meaning normal hemoglobin levels for runners are 12.5-18.5 g/dL for men and 11.0-15.5 g/dL in women. But blood doping and EPO usage have this result because they increase red blood cell production, but not blood plasma production. Standard endurance training increases red blood cell production and plasma production; the latter often to a greater extent. Renato Canova, an Italian coach whose distance runners have won over 50 medals at the World Championships and Olympics, reports that many of his top Kenyan distance runners have quite low hematocrit values, and in fact, when athletes are more fit, they have lower hematocrit values, for blood plasma dilutional reasons. Now the real controversy begins. For the general population, the normal range for ferritin is 12-500 ng/mL for men and 12-200 ng/mL for women. For a long time, doctors and physiologists insisted that low iron cannot cause poor performance in runners unless it's also accompanied by low hemoglobin. It's hemoglobin, not ferritin, that carries oxygen to the muscles, so even if low ferritin could cause anemia later, if your hemoglobin levels are normal, how could your performance be suffering? The prevailing medical wisdom ran counter to what coaches had witnessed for years. They would observe formerly fit runners succumb to fatigue and exhaustion abnormally early in their workouts and races, then send them in for iron testing. Inevitably, they would come back with low ferritin but normal hemoglobin, and yet, their performances would improve once they had increased their ferritin levels. Coaches also noted that athletes with ferritin levels at the low end of "normal" for the general population were exhibiting many of the same symptoms as athletes with clinically low iron (<12 ng/mL). Research published in 2011 by Diane M. DellaValle and Jere D. Haas provides a good example of this phenomenon.8 In their study, 165 female collegiate rowers underwent iron screening and reported their recent personal best in a 2km row (an event that takes about eight minutes to complete at an all-out effort). After running statistical analysis on the data, DellaValle and Haas showed that rowers whose ferritin levels were below 20 ng/mL averaged 21 seconds slower for their 2km row. The authors conducted additional statistical analysis and found that even ferritin levels as high as 25 ng/mL could decrease performance; rowers with ferritin levels of at least 30 ng/mL did not suffer performance inhibitions. Results like this, which upended years of medical wisdom, were enough to spur further research. Enough additional experiments on the topic of endurance performance in iron deficient but nonanemic athletes were published to warrant a review study. 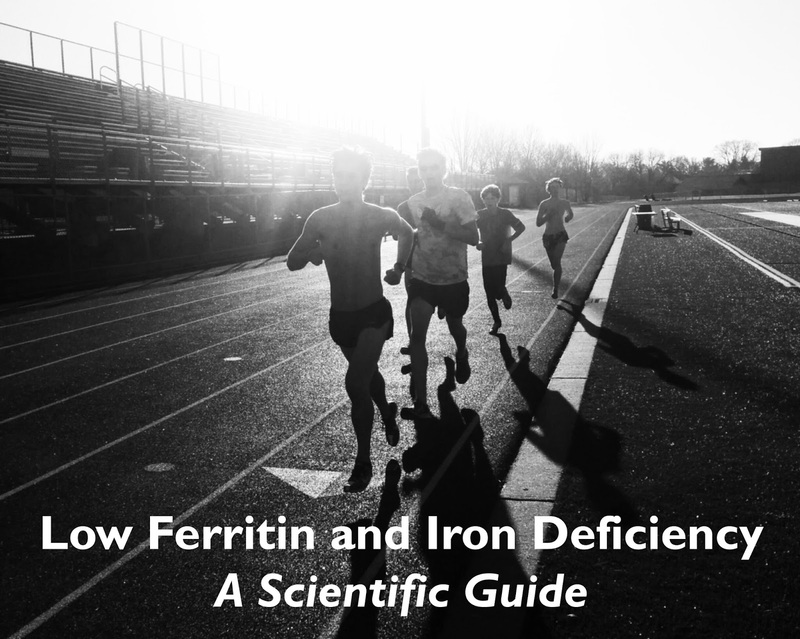 The combined results were clear: there is a marked benefit of iron supplementation in iron deficient athletes, both when it comes to increasing serum ferritin levels and to increasing aerobic performance. Furthermore, the results give some insights onto how long it takes to raise your iron levels. Statistical testing found that the effect of iron supplementation tends to taper off after 80-100 days. One downside to ferritin testing is that your levels can vary by a significant amount day-to-day. One study by researchers at Penn State University followed 20 healthy men and women over the course of a month, taking blood samples every day. They found that men's ferritin levels can vary by up to 15% from day to day, while women's can vary by up to 27%.10 This suggests we should raise the minimum threshold for optimal ferritin levels in runners to about 40 ng/mL, as this takes the day to day variance in ferritin levels into account. Some data also suggests that ferritin levels can spike after an infection, so don't get your ferritin levels checked if you've been sick in the past week or so—they might appear to be higher than they really are. So, in layman's terms, iron deficiency can impair your production of enzymes important for creating aerobic energy, so you're forced to dig into your anaerobic energy systems earlier, thus becoming fatigued more rapidly. Dietary sources of iron can be grouped into "heme" and "nonheme" categories. Heme iron is iron that's already been incorporated into an easily available format. Heme iron occurs only in meat, which makes sense—the animal you are eating has already done the absorption for you. Red meat is especially rich in heme iron. Heme iron is not only readily absorbed; it is very resistant to other factors which inhibit absorption. All other dietary sources of iron, including grains, beans, and vegetables, are classified as nonheme iron. Things that promote nonheme iron absorption include meat, poultry, and fish (strange but true!) as well as vitamin C. Meat and vitamin C aid absorption by forming chemical bonds with the iron and incorporating it into compounds that are water-soluble and easily absorbed by your body. A high-iron diet is a good idea for most runners, but if you are iron deficient, a more straightforward solution—and one that's usually necessary if you have low ferritin levels—is taking an iron supplement. It provides the most direct and quantitative way to increase your iron intake and raise your ferritin levels. Despite the vast raft of research on iron deficiency and iron supplementation, there's still some confusion on the optimal type of iron to take and what kind of dosage is necessary. These compounds are similar in their ability to deliver iron, but ferrous sulfate tend to be cheaper than ferrous fumarate, and has a higher iron content by mass than ferrous gluconate. Because of this, ferrous sulfate is the weapon of choice in most clinical studies on iron supplementation. Like all iron supplements, it is nonheme iron, so take it with a vitamin C supplement and avoid tea, calcium, or antacids within several hours. If ferrous sulfate causes you too many issues with side effects, try using ferrous fumarate or gluconate instead, or split your dosage into smaller portions throughout the day. A different form of iron, or a lower dosage, can often have gentler effects. Ferrous sulfate: Nature Made Iron - This is what I recommend to most runners as a first-line treatment for iron deficiency. It's inexpensive, widely available, and has relatively few unnecessary ingredients. Ferrous fumarate: Ferretts Iron Supplement - If ferrous sulfate gives you gastrointestinal issues, try using this fumarate salt and spread your dosage out during the day. Ferrous Gluconate: Nature's Blend Ferrous Gluconate - Likewise, this gluconate salt may help with constipation or stomach pain, on account of its lower iron dosage per pill. Some supplements provide iron that is bonded by amino acids into a large organometallic molecule called a chelate. These claim to be more readily bioavailable and less likely to cause side effects. The most common iron chelate on the market is ferrous bisglycinate. One specific form of chelated iron that's also worth a try is actual heme iron. If you read the section on the science of iron absorption, you know that heme iron is much easier to absorb than non-heme iron. Research on the usefulness of heme iron supplements is contradictory. 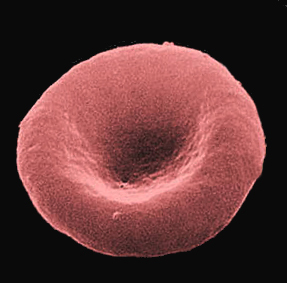 One study by researchers in Colorado found that a heme iron supplement led to a greater spike in acute iron levels in the blood, though it should be noted that this study was funded by a company that makes a heme iron supplement, and the protocol seems to have been designed to intentionally sabotage the non-heme iron supplement—the two products were consumed after a calcium-rich meal!16 Obviously, a chelated form of iron would fare a lot better than an iron salt in this situation. Solgar Gentle Iron - An inexpensive and effective chelated form of iron in a respectably-sized dose. This is what I recommend as a fall-back option for runners who struggle with inorganic iron salts, or for female runners with a history of stress fractures who take high doses of calcium supplements. Proferrin ES - Proferrin makes three variants of its heme iron supplement: Proferrin ES, Proferrin Sport, and Proferrin Forte. 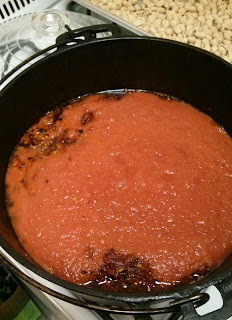 ES, the "basic" version, is actually the best one to get—the Forte version, while it contains iron, contains about three times as much iron but is four times as expensive. The Sport version contains powerful antioxidants which could counteract your body's adaptation to exercise. Proferrin ES is very expensive in terms of iron per serving, but theoretically at least it should be absorbed 3-7x better than iron salts. This means a dose of about two to five tablets a day (21-52.5 mg elemental iron in heme form) is equivalent to 120-200 mg of elemental iron in salt form. I do not recommend taking "natural" or "raw" iron supplements. These usually include substances known to decrease iron absorption, sometimes substantially. Keep it simple and straightforward when it comes to iron supplements. As mentioned earlier, you cannot rely on your multivitamin to meet your iron needs either. Nature's Bounty C 500 mg and Ezy Dose Pill Cutter - Use the pill cutter to split up the vitamin C pills into quarters—they'll provide around 125 mg per dose, and the bottle will last you for years. Notably, they also found that dietary counseling failed to increase dietary iron intake in any meaningful way. This suggests that most iron-deficient athletes can't recover simply through dietary interventions—a supplement is the best way to go. You'll have to check the label on your iron supplement closely—don't make the mistake of confusing elemental iron for the total content of the iron-containing compound. A typical iron tablet might contain 325 mg of ferrous sulfate, but that's only 65 mg of elemental iron. Taking three per day would provide a dosage of 195 mg of elemental iron. If you experience negative side effects, Alleyne, Horn, and Miller recommend lowering your daily dosage, or trying a different type of iron supplement. It may take longer to raise your iron levels, but that's okay if it prevents side effects that would cause you to prevent taking iron at all. The advantage of an iron infusion is that you can directly deliver a large dose of iron directly to the bloodstream; the main drawbacks are cost, convenience, and a lack of evidence. If your iron deficiency is low for a runner, but not low according to standard lab reference ranges, it may be difficult to get your insurance to cover an iron infusion. For safety reasons, they must be done at a doctor's office. Given the lack of standardized protocols, and the low cost of over the counter iron supplements, oral supplementation is probably the best course of action for most runners. If you think otherwise, you'll have to talk to your doctor. Don't expect an iron supplement to work right away. Burden et al. write that it may take three to six months for an oral iron supplement to raise ferritin levels. But if it's been a few months and your iron levels and performances are not improving, what should you do? The first possibility to eliminate should be celiac disease: if gluten is aggravating your intestines, they will not absorb iron (or a number of other nutrients) as effectively. A simple blood test can act as a first-line screening tool, though an endoscopy with a biopsy might be necessary. In the United States, the prevalence of hereditary hemochromatosis is somewhere between one in 200 and one in 500. However, your genetic heritage strongly influences this—the mutation is much more common in Northern Europeans, and far less common in people from the rest of the world. As you might guess, taking an iron supplement, or even eating a high-iron diet, could be extremely dangerous for people with hemochromatosis. Fortunately, a hallmark sign of hemochromatosis is very high ferritin levels. The lesson here is simple—get a ferritin test before taking an iron supplement. Low ferritin is extremely common among runners, affecting 2-17% of male runners and 28-45% of female runners. An even higher proportion have iron levels that are low enough to impair performance but do not fall outside standard reference ranges for the general population. 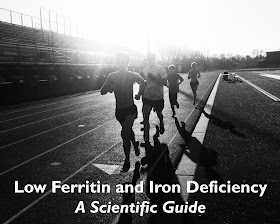 Low ferritin, even in the absence of low hemoglobin, causes impaired performances in distance runners. 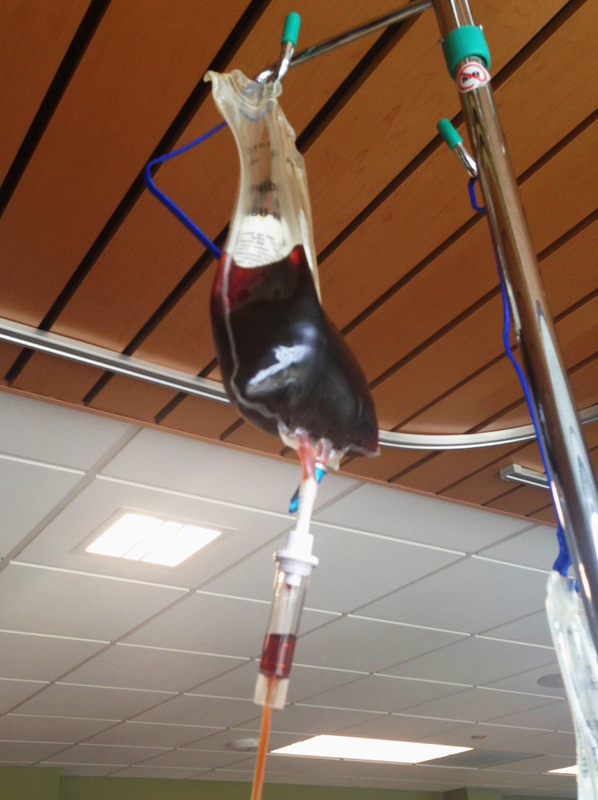 Runners should aim for a serum ferritin level of at least 40 ng/mL. If you have low ferritin, a high-iron diet can help, but the best course of action is to take an iron supplement. Taking a ferrous sulfate supplement, at a dosage of 120-200 mg of elemental iron per day, is a good starting place. If you have gastrointestinal side effects, you can try other iron salt supplements, or chelated iron. Take your iron supplement on an empty stomach with 100-250 mg of vitamin C. Small doses can be hard to find, so use a pill splitter to cut up larger vitamin C supplements. Avoid taking your iron supplement within a few hours of anything that can impair iron absorption, like tea, calcium-rich foods or supplements, or antacids. Iron works best when taken on an empty stomach. Do not take an iron supplement or adopt a high-iron diet without getting a ferritin test first. See your doctor or go to a direct access lab like PersonaLabs and get tested. 6. Nachtigall, D.; Nielsen, P.; Fischer, R.; Engelhardt, R.; Gabbe, E., Iron deficiency in distance runners a reinvestigation using 59Fe-labelling and non-invasive liver iron quantification. International Journal of Sports Medicine 1996, 17 (07), 473-479. 7. Bärtsch, P.; Mairbäurl, H.; Friedmann, B., Pseudo-anemia caused by sports. Therapeutische Umschau. Revue therapeutique 1998, 55 (4), 251-255. 16. Seligman, P. A.; Moore, G. M.; Schleicher, R. B., Clinical studies of HIP: an oral heme-iron product. Nutrition Research 2000, 20 (9), 1279-1286. 20. Freeman, H. J., Iron deficiency anemia in celiac disease. World Journal of Gastroenterology: WJG 2015, 21 (31), 9233. So hot and when the cause is low iron, this is iron deficiency anemia. Snaptube is a great app for downloading content from Youtube, Vimeo, Dailymotion, Facebook and many more video sites which are otherwise very difficult to download. The most comfortable work boots ever to make your day good and relaxing. The results show that running is very good for health as well as increased blood circulation.